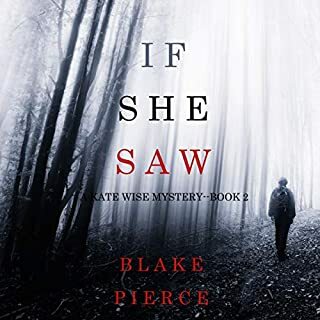 When a couple is found murdered and no suspects are apparent, 55-year-old empty-nester Kate Wise, after a 30-year career with the FBI, finds herself called out of retirement and her quiet suburban life to come back and work for the bureau. Kate’s brilliant mind and unrivaled ability to enter the mind of serial killers is just too indispensable, and the FBI needs her to crack this baffling case. Sleepy little North Bend just woke up. 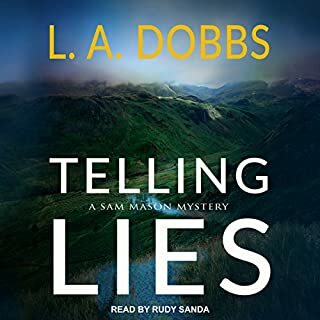 The newly promoted Sergeant Jade Monroe and her partner, detective Jack Steele, have just been informed of an unidentified male body found at a local lake. The town is in an uproar. The victim was nearly decapitated, and murder simply doesn't happen in North Bend. 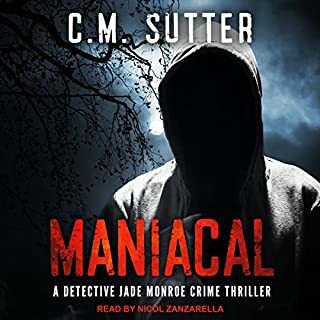 As more bodies turn up, the single connection between all of the victims becomes clear - it's Jade, herself. With each new victim getting one step closer to Jade, time begins to tick away. She must find the person responsible before her loved ones, or herself, are targeted next. Holly Wakefield works for the NHS as a criminal psychologist specialising in serial killers. She has particular reason to be good at her job - but she keeps that to herself. 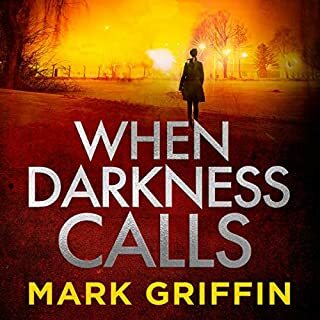 When DI Bishop from the Met Police approaches Holly to investigate a recent killing, Holly is horrified by the dismembered bodies and the way they have been theatrically positioned. More shocking still is when the pathologist reveals this is not the first time she has seen these mutilations. It means a serial killer is out there, and they're going to kill again - soon. Now available in one volume! The original Peyton Brooks mystery series box set! Get all eight of the popular Peyton Brooks' Mysteries in a single box set, including the prequel, Murder in the Painted Lady. 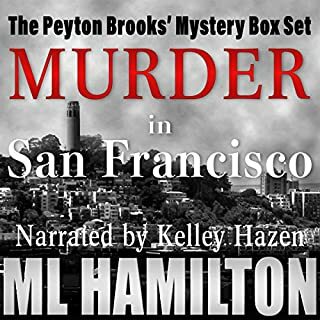 The Peyton Brooks' Mystery series follows the career of San Francisco Homicide Detective Peyton Brooks and her partner Marco D'Angelo as they fight crime in the City by the Bay. Jack Winchester was a notorious hit-man for a ruthless New Jersey crime family, until a job went wrong, and he wound up serving time. Four years later, Jack is free, and he wants out of the game, but his boss won't let him go. 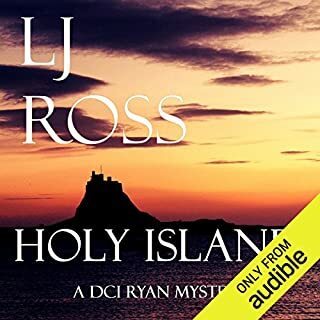 Forced to take on one last job to make amends for what landed him in prison, he travels to the small town of Rockland Cove, Maine. 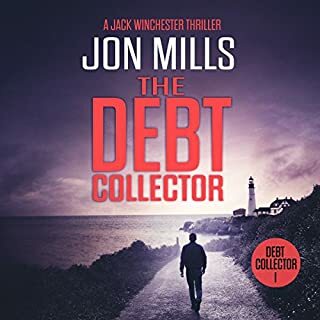 There, he not only discovers that the target and money have disappeared; he finds himself falling for a damaged woman and befriending an unruly son left behind. Mass murder. A damaged, hurting cop at war with his son. One last shot at redemption. 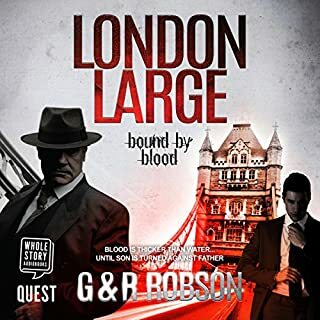 Bound by Blood is the second book in the London Large crime thriller series, featuring the exploits of Detective Inspector Harry 'H' Hawkins, an old-school London copper in a new world. H is only just back at work after a mental and physical breakdown when pop superstar Bazza Wishbone is murdered in the dead of night in a top London hotel. As the whole world looks on in horror, H investigates the crime. The story revolves around the comings and goings at No. 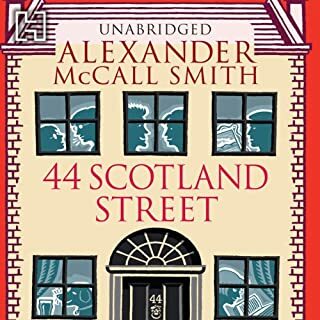 44 Scotland Street, a fictitious building in a real street in Edinburgh. Immediately recognisable are the Edinburgh chartered surveyor, stalwart of the Conservative Association, who dreams of membership of Scotland's most exclusive golf club. We have the pushy Stockbridge mother, and her prodigiously talented five-year-old son, who is making good progress with the saxophone and with his Italian. 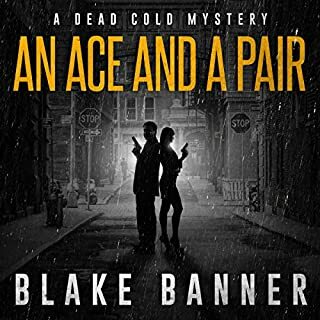 Fans of mysteries, thrillers, and suspense will enjoy these fast-moving stories of murder, greed, and treason, the cast of colorful characters, and their setting in and around historic St. Paul, Minnesota. 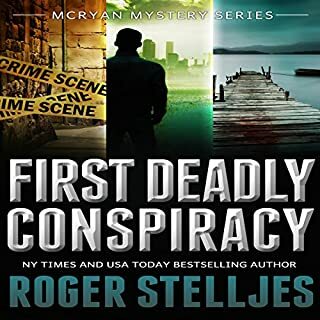 This bundle includes First Case, The St. Paul Conspiracy, and Deadly Stillwater. A story of lies, secrets, and deadly mind games. Brilliant American psychology student Madison Faber is in police custody - a potential murder suspect. Two hours ago, she found her roommate lying in a pool of blood. Special Agent Ingrid Skyberg is assigned to investigate the case on behalf of the US embassy. 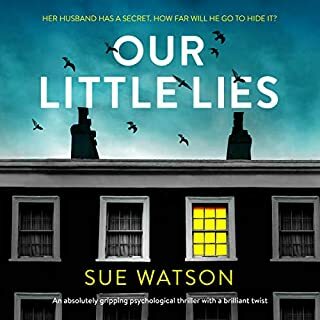 Tasked with supporting a terrified Madison Faber and uncovering the truth behind her friend's death, Ingrid discovers a sinister extremist group operating out of Faber's London college. 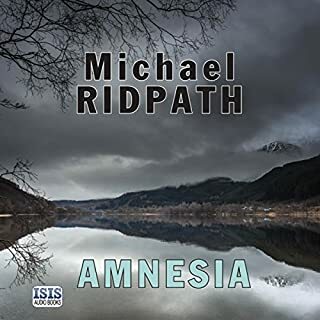 Up against the obstructive attitude of the Metropolitan Police and defying the wishes of the embassy, Ingrid must navigate through a minefield of fear and mistrust to discover the killer's true identity. But in order to ensure justice is served, she is forced to operate so far beyond the law that she may never get back again. 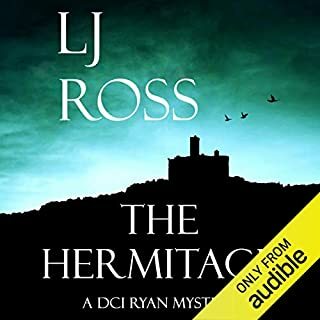 Great listening - good story and narration! The story was well told and the characters well drawn. However there were too many unanswered questions when stumps were drawn. Simply not cricket. 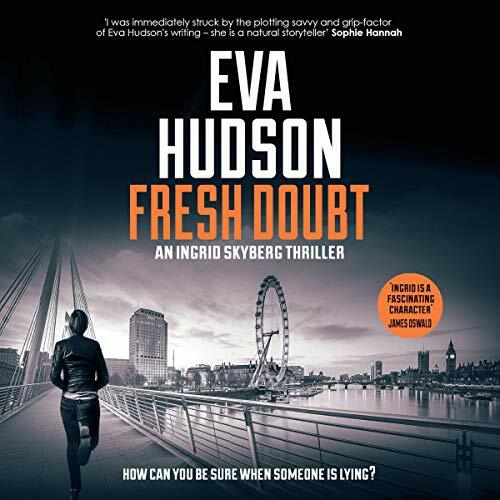 What did you like most about Fresh Doubt? This was an interesting book. The characters were realistic with a very likeable main character in FBI agent Ingrid Skyberg. It's nice to take the agent out of her home country and have a different setting in London. What other book might you compare Fresh Doubt to, and why? It's similar to the murder mystery thriller genres using FBI or Police detectives to solve crimes. There was more action than you sometimes get but a good mix of mystery and action. I liked how the ending concluded swiftly without dragging things out. Action/Adventure/Thrillers have a tendency to draw things out in the last scenes but this just got on with it. I enjoyed listening to the book. What about Victoria Grove’s performance did you like? I didn't read Book 1, so I am glad that Book 2 stood alone and didn't leave any questions on the characters. I definitely want to read Book 3 and will probably go back and read Book 1. I like the character of Ingrid Skyberg and the author does a good job of keeping her a believable character. Love Victoria Grove's voice!! She is easy to listen to and she does a great job of consistancy in her character voices. 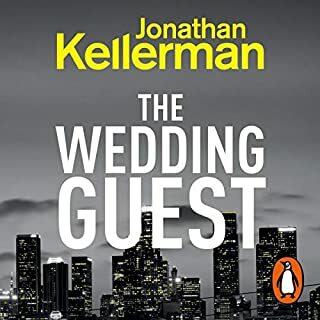 I definitely recommend this book and I will be looking for more with this author AND narrator. What did you love best about Fresh Doubt? I loved the characters. The main character of course, but every character in this book is unforgettable. 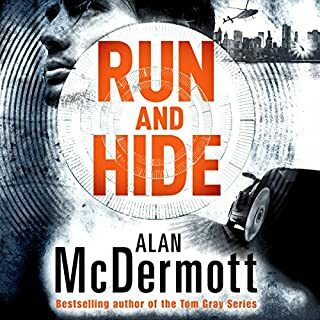 From Angela Tate--the obnoxious reporter who drinks too much, to Mohammed the Medic--a friendly guy with a sense of humor, each character has their own personality. Fascinating stuff. Yes, the plot twists and turns were skillfully done. 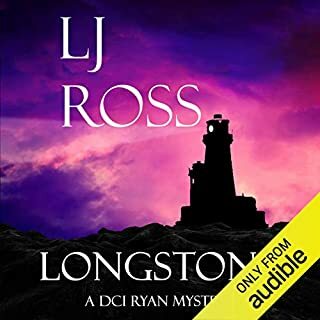 It is a suspenseful book, and I didn't see many of the story developments coming. What does Victoria Grove bring to the story that you wouldn’t experience if you just read the book? The accents. Her accents are amazing. She effortlessly switches between several British and American accents. She maintains a different voice for every character. She makes the well written characters come alive. You would want to listen to it all, but it is too long to actually do it. It took me about a week, but I couldn't wait to get back to the story. This is a great book. It is also relatively clean. I received this book for free in exchange for an honest review. What made the experience of listening to Fresh Doubt the most enjoyable? Narrator Victoria Grove was wonderful! I enjoyed all the characters. I felt she made the text come to life. What was one of the most memorable moments of Fresh Doubt? So many great parts. I really enjoy the author's ability to bring in so many emotions. It was truly a grand adventure. Super storytelling. 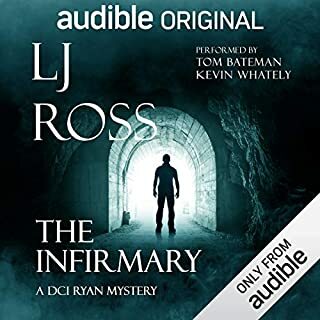 I received a free copy of this audiobook from audiobookblast in exchange for an unbiased review.